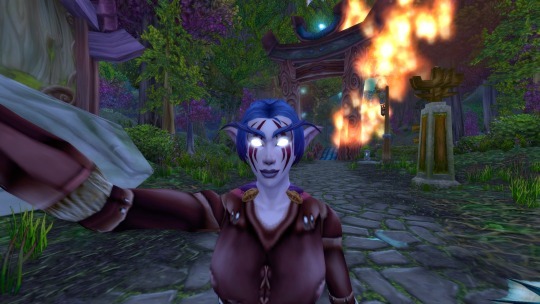 20-25 took me through the last of Darkshore and on to Ashenvale. It has been relatively smooth sailing, but I am taking things very slowly. Very slowly. I only play her when I’m wide awake and able to give her my full attention, which means this is going to take an awfully long time to get done. I had a close shave at Maestra’s Post in Ashenvale. It was one of those quests you have an entourage and there are way too many mobs and it’s all supposed to be ok. But of course Ironcinder is weak and struggles a bit. And silly pets like to pull too many mobs. 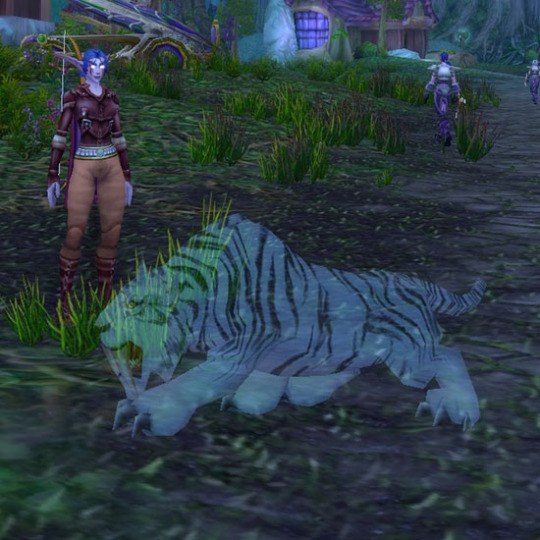 AND silly me forgot I had Aspect of the Cheetah on, so while trying to run away she kept getting stunned. It was a close shave, and she had to rest for some time before heading off again.